3. 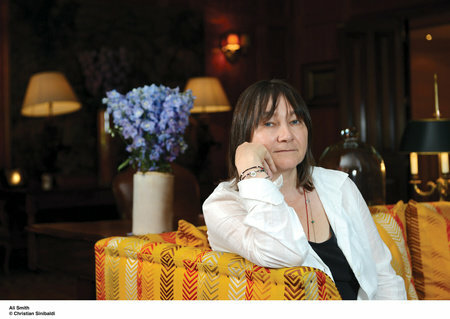 Ali Smith stated in an interview with her British publishers, “The way we live, in time, is made to appear linear by the chronologies that get applied to our lives by ourselves and others, starting at birth, ending at death, with a middle where we’re meant to comply with some or other of life’s usual expectations, in other words the year to year day to day minute to minute moment to moment fact of time passing. But we’re time-­containers, we hold all our diachrony, our pasts and our futures (and also the pasts and futures of all the people who made us and who in turn we’ll help to make) in every one of our consecutive moments / minutes / days / years, and I wonder if our real energy, our real history, is cyclic in continuance and at core, rather than consecutive.” Do you agree with the author that our history and thus our stories, individual and collective, are cyclical rather than chronological? Discuss this description of time. 10. How is Autumn collage—­like and thus similar to the art of Pauline Boty? 11. 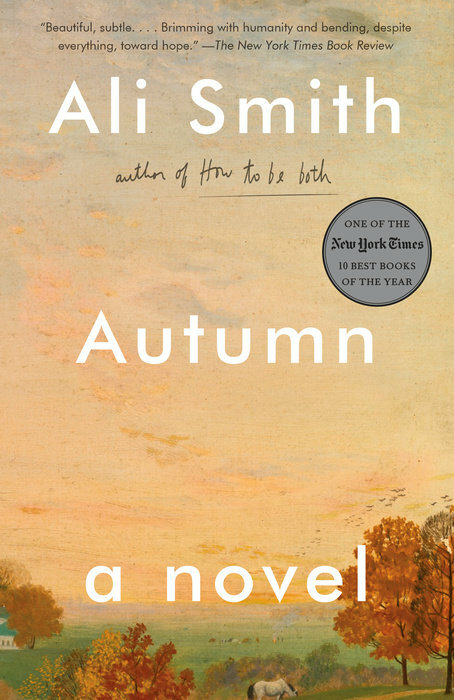 Why do you think the author has chosen this real-­life artist as a character and inspiration in this novel? What do Boty and her vision and art represent for Daniel and Elisabeth and how does she connect to the themes of Autumn? 13. Why does the book open with a reference to Charles Dickens’s A Tale of Two Cities,and then there’s a longer reference to a divided country filled with polarities: “All across the country, people felt legitimized. All across the country, people felt bereaved and shocked”? (p. 60) What are the two cities or polarities in the novel? 15. Many reviewers have called this novel the first post-­Brexit novel. What does this mean? How has England changed after the Brexit vote? How does this tie into the United States’ 2016 election, or does it? 22. Both Daniel and Elisabeth’s mother talk about lying and being lied to. Daniel: “The power of the lie . . . Always seductive to the powerless.” (p. 114). Elisabeth’s mother: “I’m tired of people not caring whether they’re being lied to any more.” (p. 57) What are both of them talking about? And what is the connection of lies and truth in the novel? 23. On what note, despair or hope, does the novel end and why?